Michael is an attorney who helps advise clients on corporate, securities and gaming law matters. As a Certified Public Accountant in the state of Illinois, Michael offers a unique perspective on the tax and financial implications surrounding corporate transactions and gaming regulations. 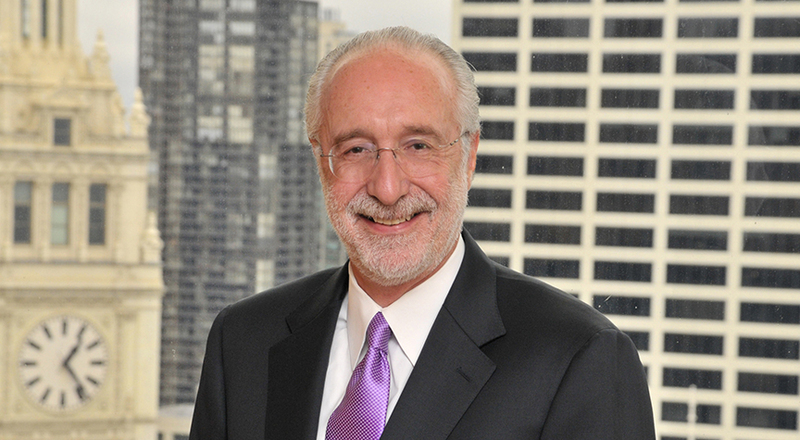 Michael’s accomplishments and deft knowledge about corporate, gaming and securities issues are part of the reason why he was named a Leading Lawyer in Illinois. Over the course of his practice, Michael has worked as outside counsel to various cities and counties on gaming-related matters. Michael has also advised casino developers and internet casino gaming companies on corporate and regulatory issues and has also helped them develop and structure relationships with potential host cities. Over the course of his career, Michael has helped oversee high-profile bids, multi-million-dollar settlements and multi-billion-dollar liquidations. Michael also advises on real estate, hotel and resort development and health care law issues. Michael received his J.D. from the University of Illinois College of Law, and received his B.S. in Accounting, with highest honors, from the University of Illinois. Michael served for 10 years as outside corporate counsel with one of the largest cardiovascular practices in the state of Illinois. Serves as outside gaming counsel for several cities and counties regarding their casino gaming activities. Represents a start-up internet casino gaming company on its corporate and regulatory matters. Served as corporate counsel for the largest cardiovascular physician practice in the State of Illinois, having worked for more than 10 years with all of the client’s hospital system contracts, joint ventures, employment and shareholder agreements, and day-to-day corporate representation. Acted as lead workout counsel for a group of institutional creditors in connection with a $4 billion liquidation of a national real estate developer/syndicator, involving hundreds of properties located throughout the United States as well as in several foreign countries. Represented one of the former “Big 8” accounting firms in connection with the settlement and renegotiation of its arrangements with its former consulting affiliate, involving over $300 million in consideration. Acted as acquisition counsel on behalf of a group of buyers in connection with their bid to purchase a major Chicago newspaper chain. “Investing in Tribal Gaming,” Gaming Law Review, Vol. 9, No. 1, 2005.